The capital of Texas and the Live Music Capital of the World®. Home of the Longhorns of the University of Texas. Only one place in Texas can claim all of these lofty titles: Austin. Although famous for its major university and live music scene, there’s far more to this Hill Country destination than you can imagine. In fact, all that defines the Lone Star State can be found here, from honky-tonk two steppers and Texas barbecue to craft beer and more tacos than your palate can handle. Separated by the pristine Colorado River, Austin is a place for urban outdoor lovers. 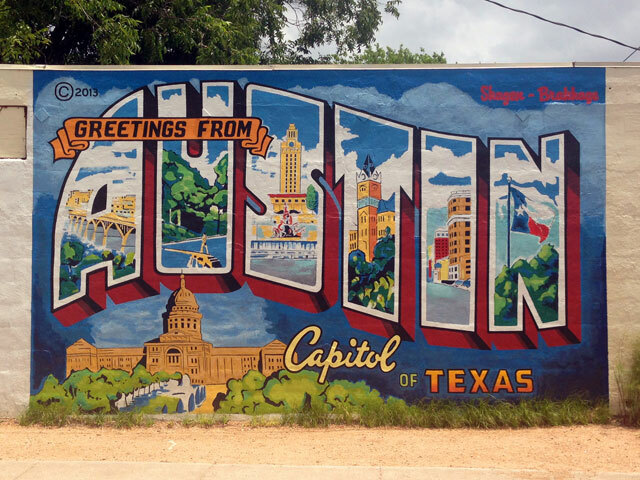 Bustling, vibrant, and youthful, Austin has its own quirky charm that truly sets it apart. If you are a fan of just about any kind of music, you need to visit Austin. With more live music venues than anywhere else in the nation, and festivals like South by Southwest and Austin City Limits Music Festival, it’s easy to see why Austin is the Live Music Capital of the World®. Stroll the streets of Austin’s entertainment districts, from Sixth Street to South Congress, and you’ll hear the tunes of local, regional, and national country, rock and roll, alternative, and hip-hop performers. The live music scene is a cornerstone of Austin’s thriving nightlife that includes everything from bouncing nightclubs to Texas craft beer pubs with quiet outdoor patios. Austin is just as much a Texas destination for foodies as it is for music lovers. Here in the Texas capital you’ll find locally-owned taco joints, barbecue restaurants, food trucks, and upscale eateries serving a mouthwatering mix of flavors from around the globe. In fact, famous purveyor of tacos, Torchy’s Tacos, started in Austin with its original location perched on South 1st Street. No matter what you’re hungry for, you’ll find more than what you were expecting in Austin. Spend any time in Austin and you’ll likely cross over the Colorado River, a beautiful waterway that offers an abundance of ways to enjoy the outdoors. Rent a kayak, canoe, or stand up paddleboard and explore the river, taking in the tree-covered hills and towering downtown skyline along the way. Nestled on either bank of the Colorado River is the 10-mile-long Butler Trail on which you can walk, jog, or bike while enjoying the stunning scenery. That’s just one of many trails in the Austin area, however. Get some serious biking done at either the Barton Creek Greenbelt or the Veloway, or take in the waterfalls from the hiking trails at McKinney Falls State Park. When it’s the heat of summer and you’re looking for a place to cool off, ease on into the cool spring-fed water of Barton Springs Pool located in Zilker Park, a massive urban greenspace near downtown. As the state capital, there’s a lot of Texas history to take in. Start by going on a free tour of the breathtaking Texas Capitol building constructed with granite from nearby Marble Falls. Then head to the Bullock Texas State History Museum, where you’ll see original artifacts that tell the state’s story and the reconstructed hull of the French ship La Belle that wrecked on the coast of Texas in 1686. Austin’s live music scene, thriving nightlife, one-of-a-kind culture, and natural beauty makes it an excellent place to visit for just about anyone. With so many experiences to have (and tacos to eat), you’ll start planning your return trip before you even leave.